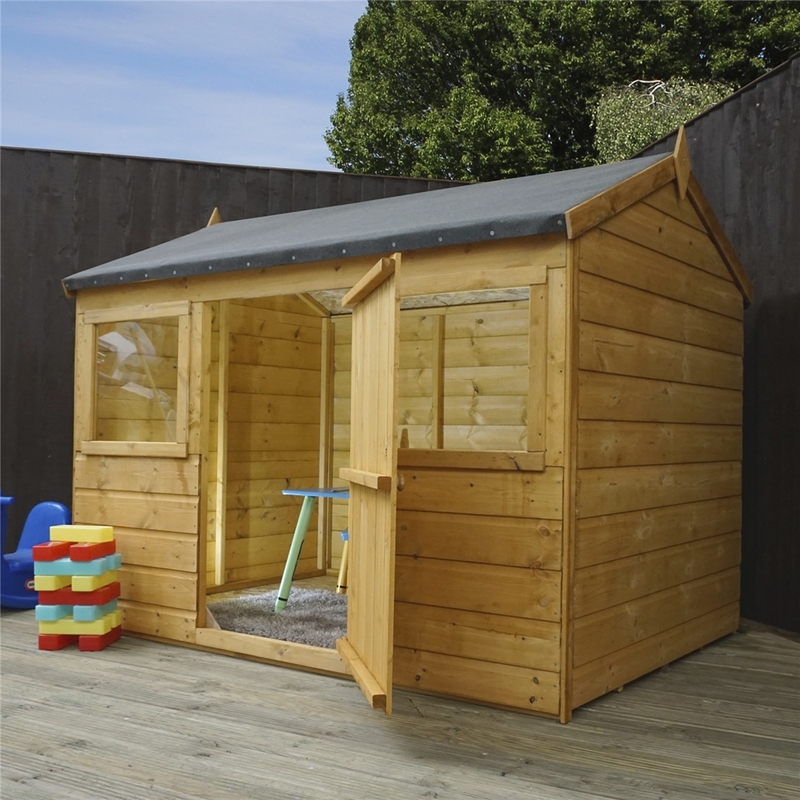 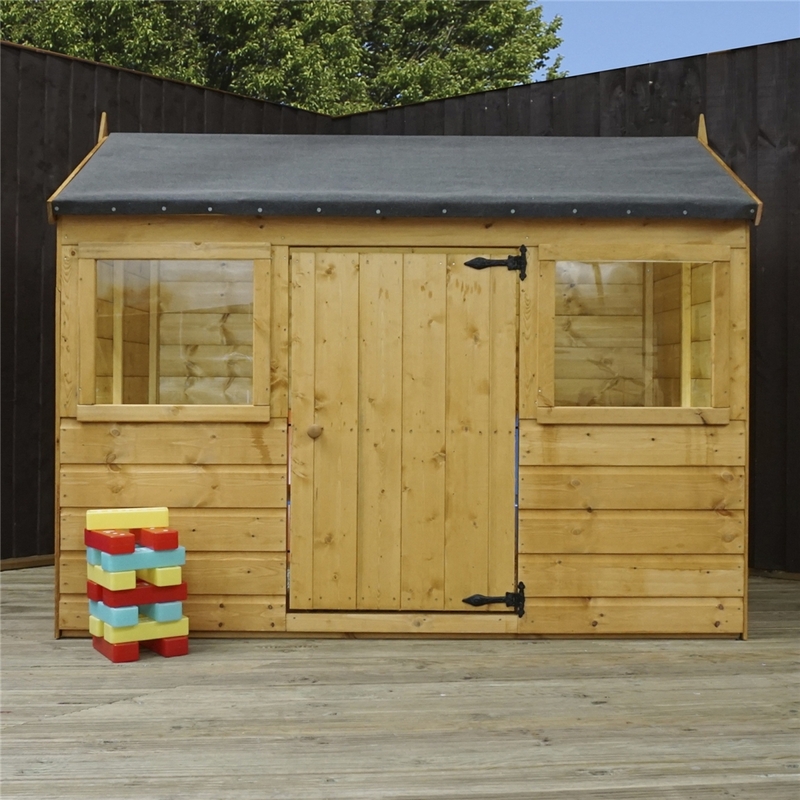 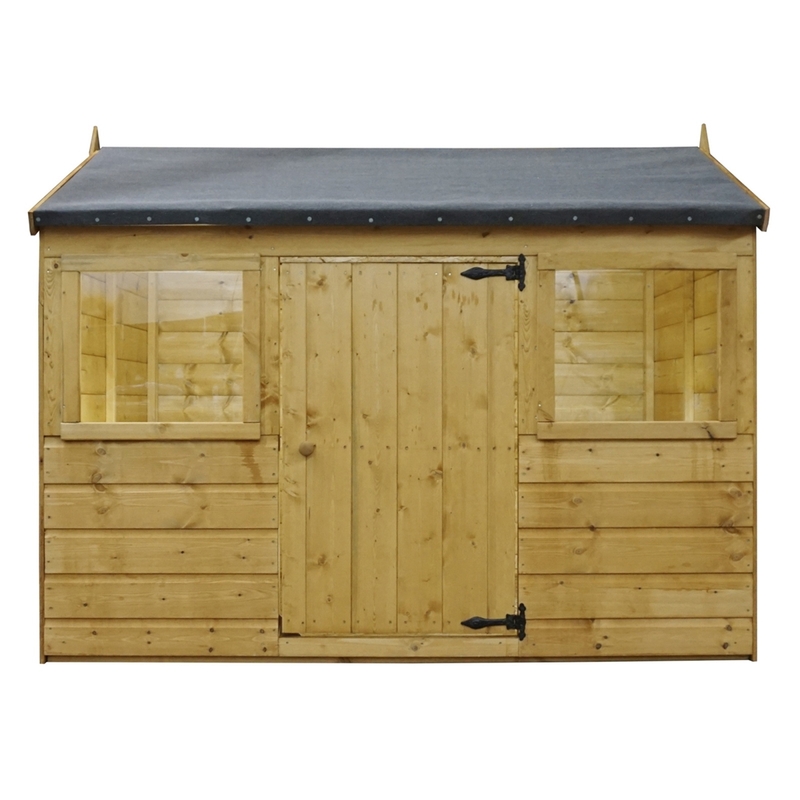 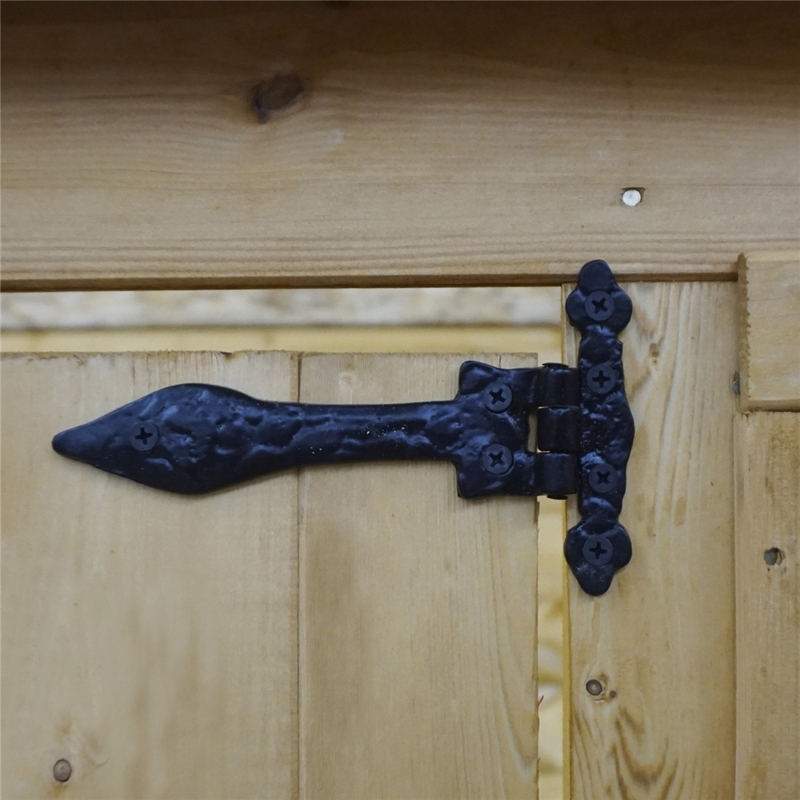 The 4' 5" x 6 Reverse Tongue and Groove playhouse features a traditional design with decorative hinges and large interior, perfect for a den or toy storage. 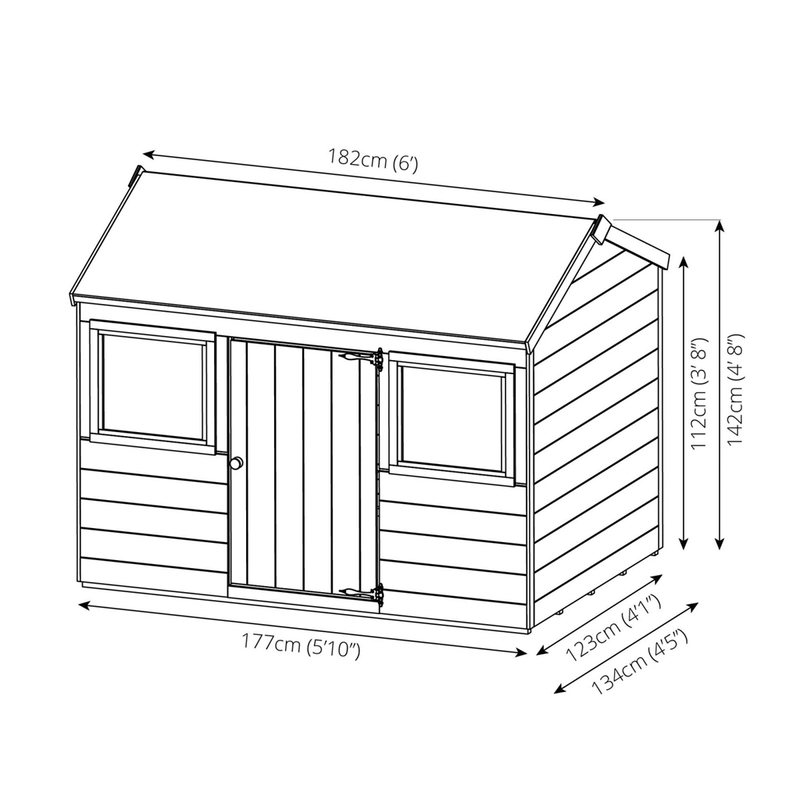 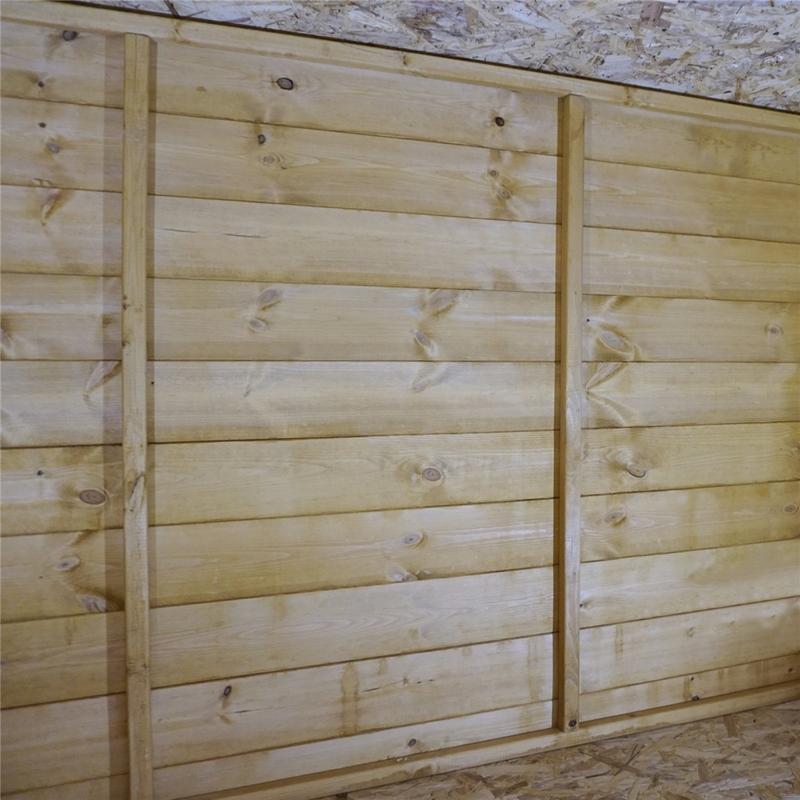 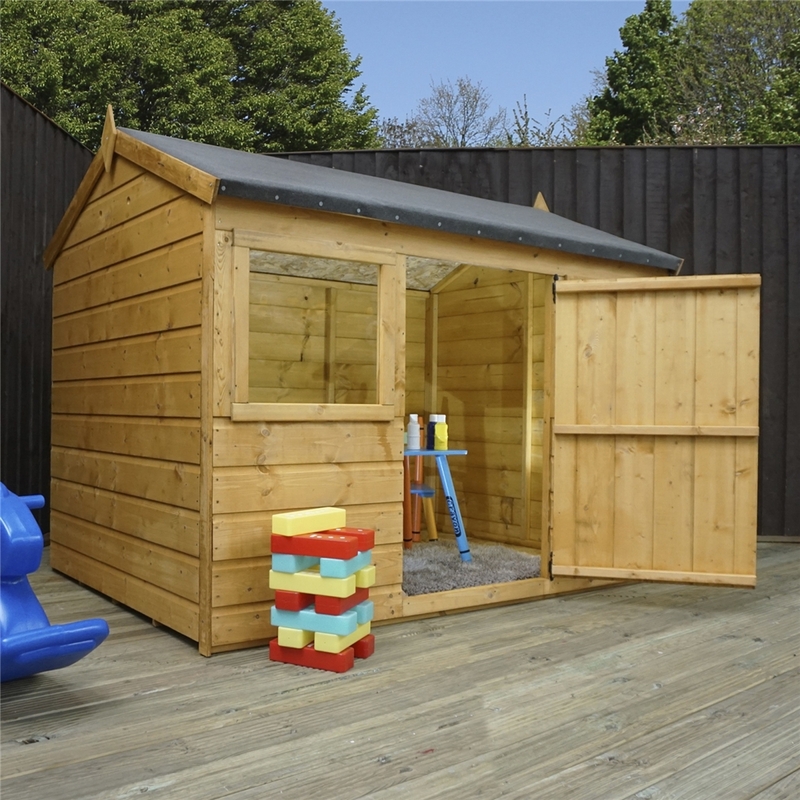 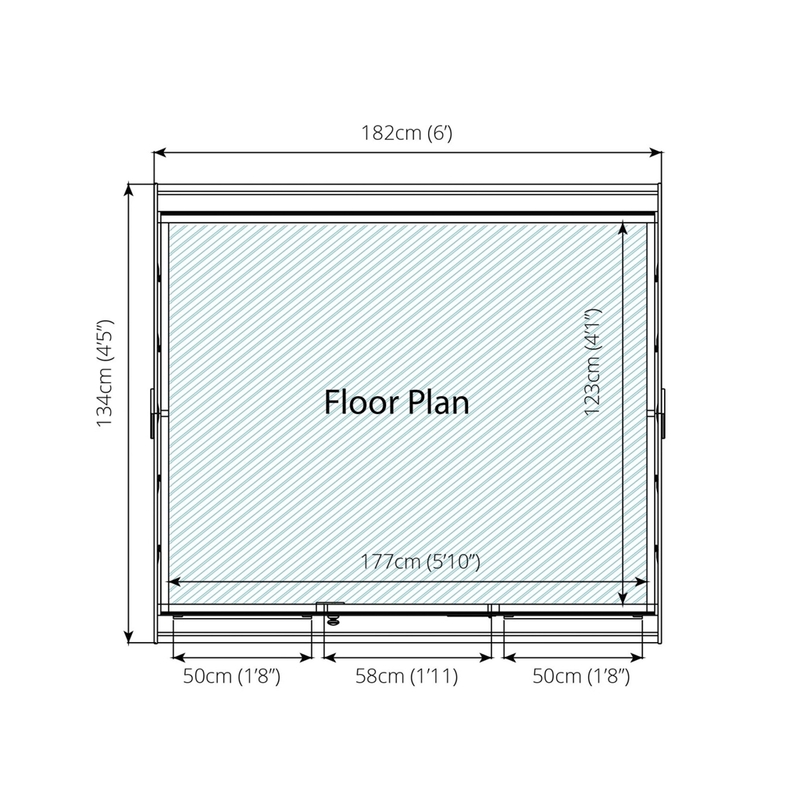 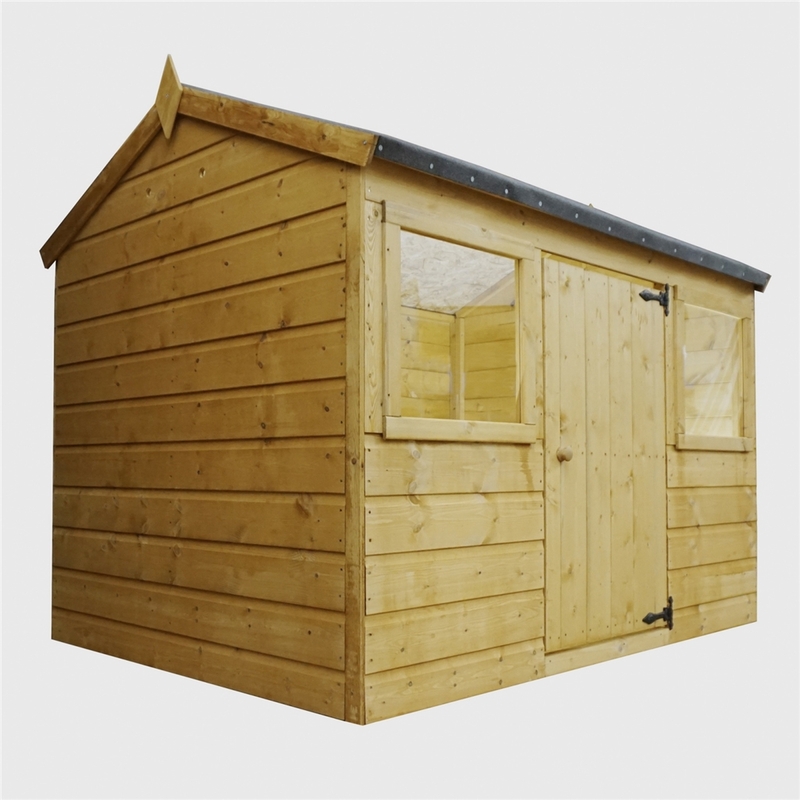 The reverse playhouse has planed and rounded timber, is EN-71 safety tested and has a child safe door with finger gaps. 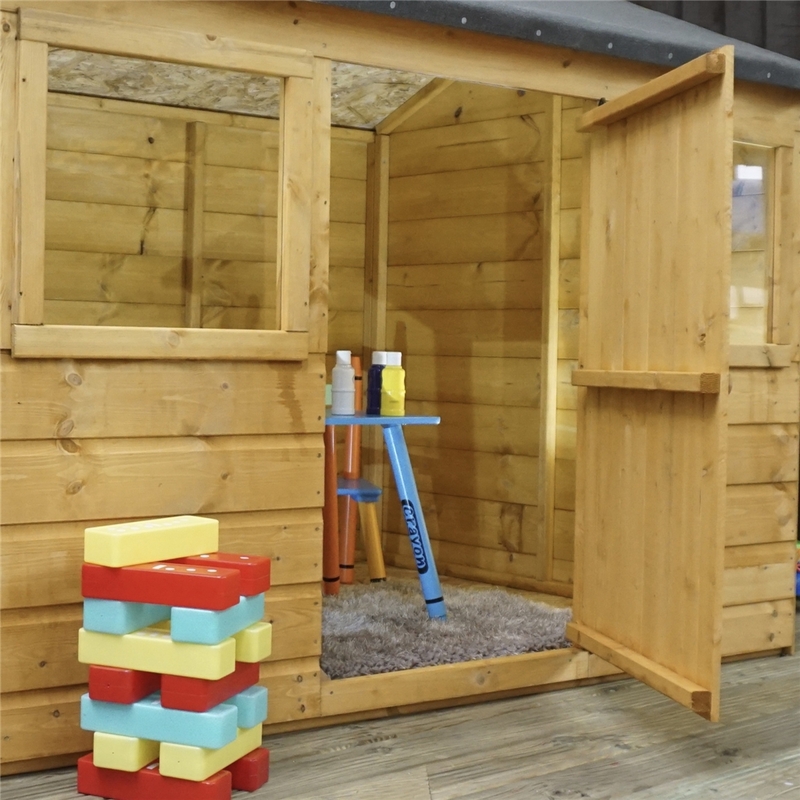 Why not customise the pent playhouse with you child favourite colour using the Cuprinol shades.